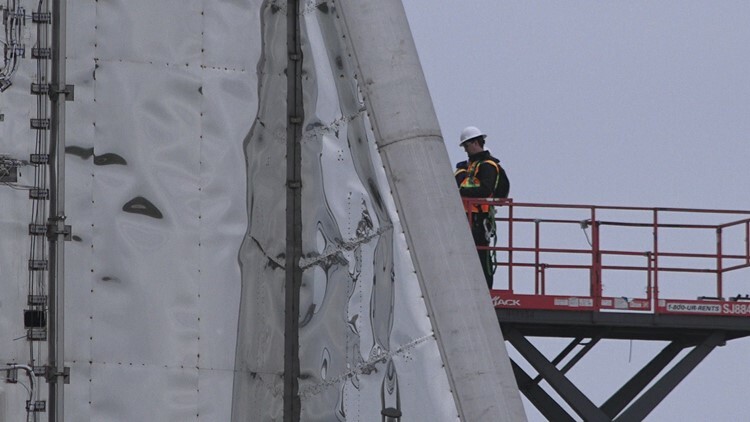 BROWNSVILLE, Texas — SpaceX has started testing its newest prototype that may one day take commercial flights into space. The initial tests, or "hops," are taking place this week at the southernmost tip of Texas, just feet away from Boca Chica Beach near the border with Mexico. A series of loud sounds could be heard coming from the SpaceX launch site Thursday morning, indicating testing had started on the Starship Hopper prototype—a project being developed using a SpaceX Raptor engine. It wasn’t clear if the intermittent sound from the launch site was the actual Raptor engine. “We’ve heard a couple of short blasts of kind of a whistling-whoosh sound, but nothing lasts more than just a few seconds,” said Boca Chica Village resident Sam Clauson. Clauson spent the day observing the prototype from his viewing deck about a mile-and-a-half away and behind a designated safety zone. According to the space exploration company, the short static-fire tests scheduled this week mark an important first phase in the overall Starship and super-heavy projects that may one day send commercial travelers to the moon, and possibly even Mars. “Any time I doubt anything SpaceX says they’re going to do, they do it. So I should just stop doubting,” said space exploration aficionado Tom Hawes. The announcement of the testing has attracted a steady stream of spectators all week, including Hawes, who drove five hours from Victoria, Texas. “They’re going to be doing the tests of that new engine and that’s what I want to see," he said. SpaceX said in a statement earlier this month that although the Starship prototype is designed to perform sub-orbital hops powered by their Raptor engine, the vehicle would be tethered during those tests and the flights wouldn’t be visible off-site. 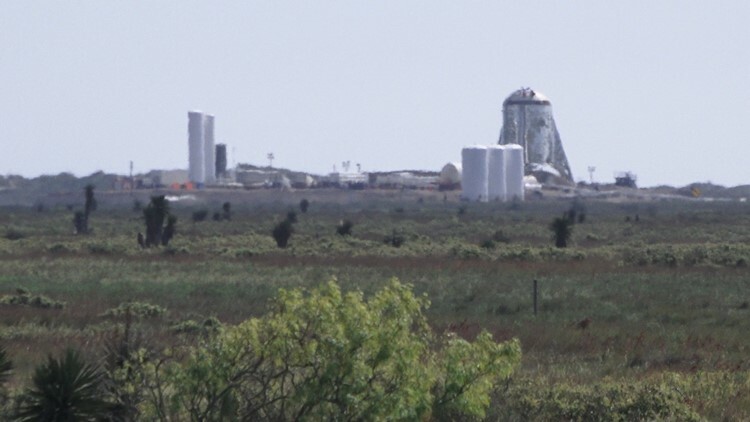 Cameron County officials issued a public notice Monday saying the SpaceX launch site would be off-limits from 10 a.m. to noon Wednesday through Friday. For residents of the remote Boca Chica Village, they’ve had to trade their peace and tranquility for a front row view of a rocket that could end up performing up to two launches per month.